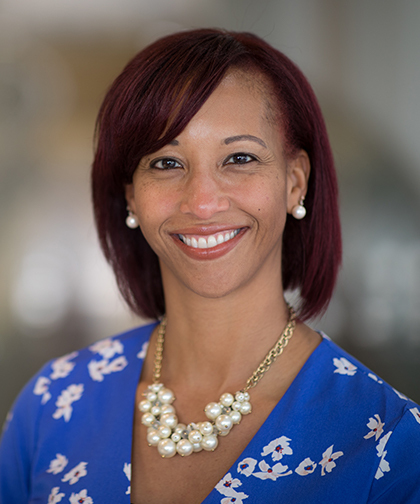 Rhonda Graves Acholonu, MD, joined Montefiore in 2017 as Vice Chair for Education, Co-Director for Leadership, Engagement and Diversity Program and as an Attending Physician in the Division of Hospital Medicine at Children’s Hospital at Montefiore (CHAM). Dr. Acholonu is also an Assistant Professor of Pediatrics at Albert Einstein College of Medicine. Her areas of interest include maximizing opportunities for education across the continuum by utilizing innovative instructional methods and theories as well as incorporating diversity and inclusion initiatives into educational curricula. Dr. Acholonu received her Bachelor of Science in Biology in 1997 from Georgetown University. In 2001, she went on to earn her medical degree from MCP Hahnemann School of Medicine. She completed an internship, residency and chief residency from 2001 to 2005 at Children’s Hospital of Philadelphia. Dr. Acholonu is interested in thinking broadly about the clinical learning environment with a specific focus on feedback and evaluation as well the impact of implicit bias and microaggressions on that clinical setting. Her work has been featured both regionally and nationally in workshops and Grand Rounds. She has served on numerous committees, particularly related to faculty diversity and inclusion as well as house staff and faculty selection committees. Dr. Acholonu has been recognized broadly for her work and received numerous awards, including the MSI AHEC Champions of Diversity Health Professions Educator Award in 2016 and the Award for Exemplary Achievement in Medical Education, also in 2016. Dr. Acholonu is board certified by the American Board of Pediatrics and is a member of the Academic Pediatric Association and the American Academy of Pediatrics.